The Guatape water reservoir, one of Colombia’s most visited tourist attractions, is slowly killed by algae and will become poisonous unless local authorities stop procrastinating. The man-made reservoir, located at the bottom of the iconic rock of El Peñol, has slowly but surely been filling up with the deadly cyanobacteria, better known as blue-green algae. 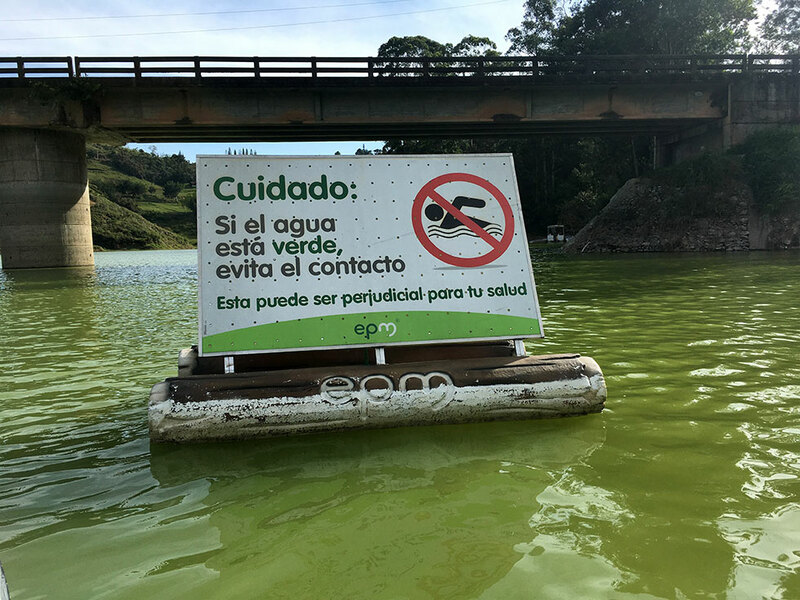 The increasing presence of the algae is due to polluted water that enters the reservoirs from nearby farms, and towns like Rionegro and Marinilla. Energy company EPM, which owns the reservoir and the connected hydro-electric plant, has already put up signs warning locals and tourists not to swim when the water looks green. Local tourism operators are concerned as the algae are spreading a lot faster than authorities are taking action to curb the problem. With 19% of the lake already poisoned, the possibility for any activity in the water is reducing rapidly. If the algae are able to take over the entire lake, the bacteria’s toxin will make any contact with the water impossible because of the strong allergic reaction of humans. The algae problem can be reversed by regulating the use of fertilizer or filter it from incoming waters, building septic tanks at nearby farms or by planting vegetation that naturally consumes the algae. But that’s not happening, locals say. 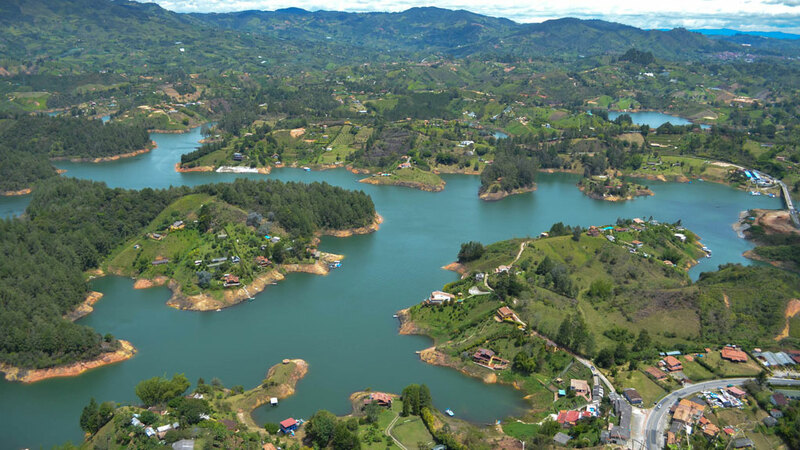 “Unfortunately, the reservoir at El Peñol is dying due to the indifference of both local and regional officials,” local activist Mauro Betancourt told Antioquia state television network Teleantioquia. However, the company refuses to take full responsibility for solving the problem, mainly because this would be the responsibility of surrounding municipalities that contribute to the pollution. “EPM reiterates its call to the institutions and authorities to undertake action that, within their competence, contribute to mitigate this problem,” it said earlier this month. Notwithstanding, it is also the municipality that will be most affected if the algae spreads and tourist activity in and near the water becomes a health hazard.